book recos – Page 2 – Random. Structured. Haphazard. All Me. My whole family’s been under the weather after the offspring got a bug back from school. With long periods of imposed bedrest there’s hardly any time before your mind commands you to watch a movie, or 3. Well in my case no movie is ever watchable at a stretch when my kid is around, so with all the breaks accounted for; one movie goes for at least a day or 2. Anyhow, from the depths of my fevered brain, some voice kept throwing up movie recommendations and one name kept resounding louder than the others. Well more than the name it was the theme music that kept resounding. And while that may be schizophrenic at some level it still was THE GODFATHER! Now I haven’t watched this movie in years but it just really hit the spot this time. James Caan, Al Pacino, Robert Duvall…it really doesn’t get any better. That it’s a bit slow-moving was discounted since my days were moving at the speed of molasses anyhow. “Sonny: What the hell is this? “Michael: What’s the matter? What’s bothering you? I’ll handle it. I told you I can handle it, I’ll handle it.Don Corleone: I knew that Santino was gonna have to go through all this, and Fredo, well, Fredo was well, but I never – I never wanted this for you. I worked my whole life, I don’t apologize, to take care of my family. And I refused to be a fool dancing on a string held by all of those big shots. I don’t apologize, that’s my life, but I thought that when it was your time, that you would be the one to hold the strings. Senator Corleone. Governor Corleone. Somethin’.Michael: Another pezzonovante .Don Corleone: Well, there wasn’t enough time, Michael. Wasn’t enough time.Michael: We’ll get there, Pop. 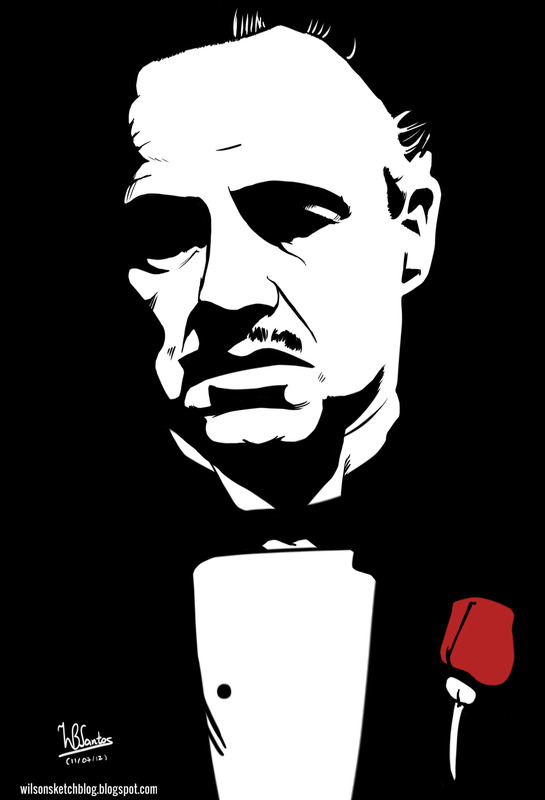 We’ll get there.Don Corleone: Uh. Now listen, whoever comes to you with this Barzini meeting, he’s the traitor. Don’t forget that. I prebooked the Kindle edition of way back in February and have been waiting for it ever since. The previous installments of the Heroes of Olympus were pretty great and Riordan had built up the momentum beautifully. It wasn’t as gripping as the Percy Jackson series but it was pretty damn captivating none the less. Anyhow moving onto the grand finale of this series…I guess I had hyped up the extent of the excitement in my own head and the book by itself fell flat. I was far more kicked about seeing the book get downloaded on my Kindle on its own rather than the actual sequence of events that unfolded. I will say this though- barring the Illiad no other book has ever got me this enthused about the Greek or Roman myths. Riordan brings to life the parallel universe of the Greek gods, their Roman counterparts, their foibles and their personalities in a humorous and at times emotional manner. This isn’t just a book for children or people who love fantasy. I would recommend this body of work to anyone who likes to sink their teeth into a great narrative punch-full of imagination, strife, romance, twists in the tale and whatnots. the humor felt a bit forced and not as fluid as it normally is with Percy’s wisecracks and Leo’s overall irreverent attitude towards life. the actually awakening of Gaia. the interaction between the Gods and their offspring during the showdown with the giants. All this isn’t to say that this might not go down well with the rest of Riordan’s huge reader base out there but I guess in the balance between expectation vs reality expectation battered down reality. Sadly a fantastic series of books comes to an end. Awaiting the next gem from Riordan. Write away Mythmagic Man! Your books have provided a helluva lot of good times over the last year. I’ve been late as a rule in discovering books which are part of a series and have gained a lot of popularity. I caught onto the Anne of Green Gables late (actually not really since L.M Montgomery was long dead before I was born), the Harry Potter series, the Artemis Fowl series and the latest one, Percy Jackson. I came across the first Percy Jackson book much after I saw the trailers for Percy Jackson and the Sea of Monsters while waiting for another movie to start. Greek and Roman myths have always interested me and just seeing the visuals I knew the actual book would be even more exciting and it was! They all were! It is fantasy but it is fantastically readable and it’s funny. The author Rick Riordan is a truly talented wordsmith and one who possesses a cheeky sense of humor and as it is with quite a few of the “so-called” children’s’ writers, their works are eminently readable by adults as well. And whether we all have an inner child or not, we know to appreciate wit, humor and a style of prose that appeals to us and our sensibilities. 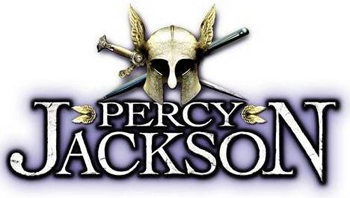 Percy Jackson brings together adventure, glory, bravery, angst, fantasy, magic and most of entertainment. If you aren’t a snob about reading “mainstream” writing, pick up a copy today or try out the e-book. It’s thoroughly enjoyable down to the last word and keeps you wanting more installments of the Greek and Roman pantheons and their lore.